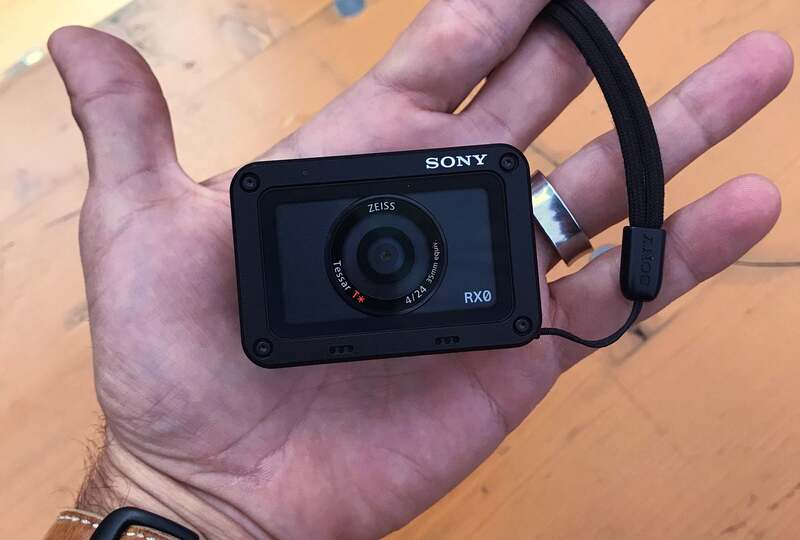 When the Sony RX0 was introduced, it was a surprise to just about everyone. One person who wasn’t surprised on Launch Day was filmmaker Andrew Geraci of District 7 Media. The filmmaker who created the incredible opening sequence of House Of Cards had received an RX0 a few days before the introduction to put it into a real world shooting situation and see how it performed. For the project, Geraci chose to shoot at Lights Fest, where he would have a chance to push the RX0 and use it in conjunction with his Sony α7S II. Lights Fest is an event where families gather to share dreams, wishes and goals while enjoying a special evening that culminates with a massive lantern release. It’s a remarkable event, and for a filmmaker it posed unique challenges. "The whole idea behind it was shooting in low-light, high-sensitivity conditions," explains Geraci. "Everything was shot from ISO 3200 all the way up to 12,800 and our cameras of choice were the Sony α7S II and the RXO. The RX0 was for a lot of our more detailed shots and when we wanted to get the camera into a tight space where only such a small camera would fit. For a while now, the α7S II has been the leader in low-light performance. In our testing and then shooting this project the RX0 was impressively close to it. We were pretty blown away by the quality and the sensitivity that came out of the RX0 when matched with the α7S II." For Geraci, who was using the α7S II and the RX0 together, matching the footage was a necessity. As a professional filmmaker, if he can't get the footage to match, he won't use that combination. Period. This combination proved to be a winner. "It matched up really well," he says. "The fact that the RX0 has S-log2 on it really allowed us to increase the dynamic range, and have excellent matching capability with any type of camera – not only with the α7S II. And the camera can shoot 4K via HDMI out, but what we love wasn’t the 4K as much as how good the onboard HD files looked. We’ve used other small cameras like this that have 4K recording onboard, but that footage never looks good. 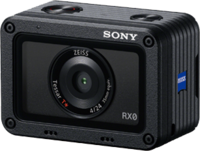 Comparatively, the HD footage from the RX0 shot in S-log2 is so much better and easier to work with than bad 4K footage from other cameras." Geraci got his RX0 before the actual launch date. "First, I noticed that it’s really, really small," he says. "I was a little skeptical about the image quality we’d get out of it, but when we tested it the day before the Lights Fest shoot, the image quality was really impressive and was especially good in low light. Also, it’s really solidly built. It’s metal and it’s durable. We accidentally put the durability to the test when I dropped it about 20 feet. I had it on a mount on the back of an ATV and it fell off and fell down a ravine. Thankfully we found it and it came out of that just fine. There’s not even a scratch on it and it worked just fine after that." 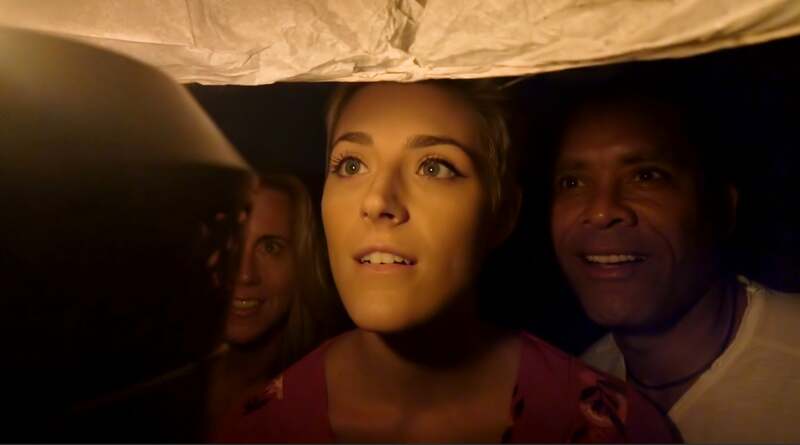 Geraci's Sony RX0 placed inside a lantern at Lights Fest captured the event in a way no other camera can. The Lights Fest shoot itself presented a particular challenge: timing. Geraci explains, "When it came right down to it, our window for shooting at the climax of Lights Fest was just a few minutes. The lanterns were set to be released at 9 p.m. We had everything ready and in place and, literally, at 9:02 p.m. a thunderstorm rolled in. There was thunder and lighting and craziness and so everything you see in the video was shot in under two minutes. It was truly crazy. And that’s something that I think was really unique about this whole shoot. Sony sent this camera to us and they wanted a real-world production. We’ve all seen other sample footage demonstrating new products that have been highly-produced in completely controlled environments with multiple takes to ensure that everything is absolutely perfect. In this case we went out and made a real film where we had limited control. The lantern release is all shot with available candle light. We had a thunderstorm roll in and pretty much clear out the event. In those conditions the RX0 and the α7S II worked beautifully. We didn’t miss in a situation where a miss would have killed the project." You can follow Drew Geraci on Instagram @drewgiggity. See more from District 7 Media on Vimeo and listen to the Alpha Universe Podcast with Drew Geraci here.